Brightsolid can provide you with a robust and reliable business internet access solution to provide your users with internet browsing or web services, backed by our competitive pricing and outstanding support. Our scalable options allow customers to flex their services to match their outgoing and incoming internet traffic needs. With multiple routing options and peering arrangements you’ll experience low latency and optimised performance for all your business demands. From a security perspective, we offer a highly secure DDoS (Distributed Denial of Service) offering to protect our customers from attacks. Brightsolid provides a range of dedicated access solutions for our managed cloud and colocation customers. We deal with multiple suppliers and make the planning, co-ordination and deployment of services simple and cost-effective. 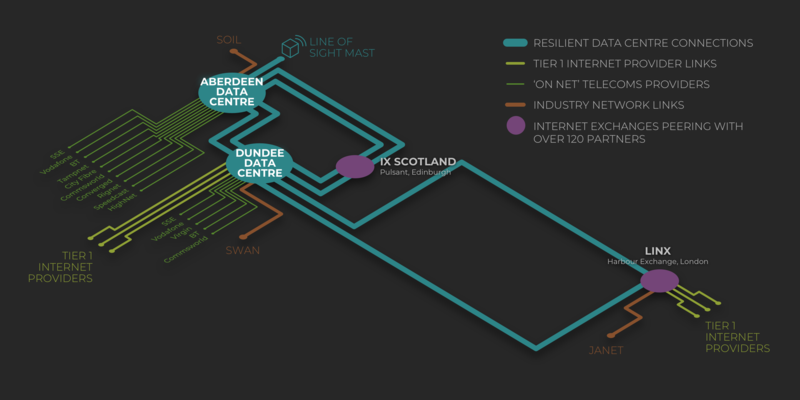 This can include connectivity bandwidths (10mbps and above), site-to-site and client VPNS, dark fibre, firewall and security services and much more. By coupling this with our Managed Network Endpoint service our Internet Access customers can benefit from an end-to-end solution designed with an overarching SLA. Brightsolid offers comprehensive services to provide and manage best-in-class network equipment such as routers, switches and firewalls, ensuring connection to your colocation and managed cloud services is secure and optimal across the board. 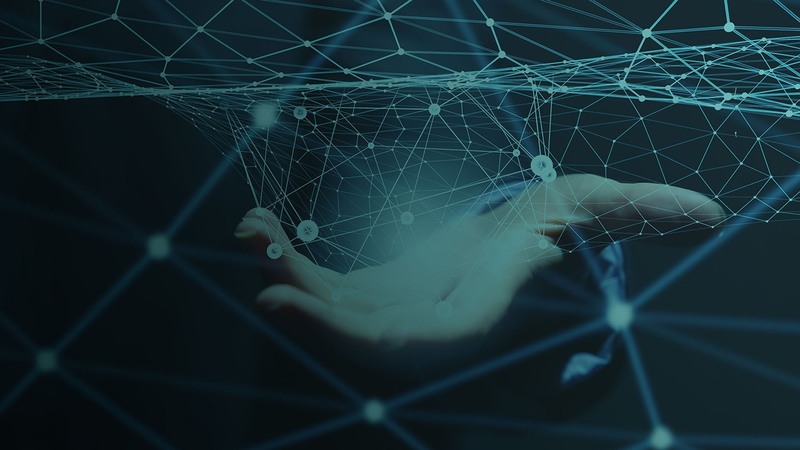 With extensive support, monitoring and SLA’s around availability, packet delivery, response times and more, our service gives you guaranteed performance and connectivity. You can be assured of the security of your devices by our best practice approaches to authentication, authorisation and accounting. Our regular patching and device configuration back-ups also ensure that your services are protected from security vulnerabilities or can be restored speedily.